A pressure ulcer is described as a localized injury to the skin and/or underlying tissue, usually over a bony prominence, as a result of pressure or pressure in combination with shear and/or friction. PUs vary in size and severity of the affected tissue layer, ranging from skin erythema to damaged muscle and underlying bone [2Coleman S, Gorecki C, Nelson EA, et al. Patient risk factors for pressure ulcer development: Systematic review. Int J Nurs Stud 2013; 50(7): 974-1003. [http://dx.doi.org/10.1016/j.ijnurstu.2012.11.019] [PMID: 23375662] -4National Pressure Ulcer Advisory Panel, European Pressure Ulcer Advisory Panel and Pan Pacific Pressure Injury Alliance. 2014.https://www.npuap.org/wp-content/uploads/2014/08/Updated-10-16-14-Quick-Reference-Guide-DIGITAL-NPUAP-EPUAP-PPPIA-16Oct2014.pdf]. A study conducted by Jiang in China shows that the prevalence rate of pressure ulcers was 1.58% (0.94-2.97%) [5Jiang Q, Li X, Qu X, et al. The incidence, risk factors and characteristics of pressure ulcers in hospitalized patients in China. Int J Clin Exp Pathol 2014; 7(5): 2587-94. [PMID: 24966973] ], while the prevalence rate of PUs ranges from 8.8 - 53.2% in Europe in which the incidence rate ranges from 7- 71.6% [6Moore Z, Johanssen E, van Etten M. A review of PU prevalence and incidence across Scandinavia, Iceland and Ireland (Part I). J Wound Care 2013; 22(7): 361-362, 364-368. 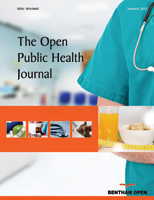 [http://dx.doi.org/10.12968/jowc.2013.22.7.361] [PMID: 24159658] ]. There are different risk factors related to PUs development among ICU patients. Immobility and friction are important risk factors for PUs [2Coleman S, Gorecki C, Nelson EA, et al. Patient risk factors for pressure ulcer development: Systematic review. Int J Nurs Stud 2013; 50(7): 974-1003. [http://dx.doi.org/10.1016/j.ijnurstu.2012.11.019] [PMID: 23375662] , 7Alderden J, Rondinelli J, Pepper G, Cummins M, Whitney J. Risk factors for pressure injuries among critical care patients: A systematic review. Int J Nurs Stud 2017; 71: 97-114. [http://dx.doi.org/10.1016/j.ijnurstu.2017.03.012] [PMID: 28384533] , 8Kottner J, Gefen A, Lahmann N. Weight and pressure ulcer occurrence: A secondary data analysis. Int J Nurs Stud 2011; 48(11): 1339-48. [http://dx.doi.org/10.1016/j.ijnurstu.2011.04.011] [PMID: 21601854] ]. Malnutrition and Body Mass Index (BMI) are associated with pressure injury prevalence. Therefore, routine and formal assessment of both BMI and nutritional status are important to enable the identification of patients with high risk of developing PUs [8Kottner J, Gefen A, Lahmann N. Weight and pressure ulcer occurrence: A secondary data analysis. Int J Nurs Stud 2011; 48(11): 1339-48. [http://dx.doi.org/10.1016/j.ijnurstu.2011.04.011] [PMID: 21601854] -10Hyun S, Li X, Vermillion B, et al. Body mass index and pressure ulcers: Improved predictability of pressure ulcers in intensive care patients. Am J Crit Care 2014; 23(6): 494-500. [http://dx.doi.org/10.4037/ajcc2014535] [PMID: 25362673] ]. The days in hospital, skin moisture, and other neurological factors are significant risk factors for PUs development [11Brienza D, Krishnan S, Karg P, Sowa G, Allegretti AL. Predictors of pressure ulcer incidence following traumatic spinal cord injury: A secondary analysis of a prospective longitudinal study. Spinal Cord 2018; 56(1): 28-34. [http://dx.doi.org/10.1038/sc.2017.96] [PMID: 28895575] -13van der Wielen H, Post MW, Lay V, Gläsche K, Scheel-Sailer A. Hospital-acquired pressure ulcers in spinal cord injured patients: Time to occur, time until closure and risk factors. Spinal Cord 2016; 54(9): 726-31. [http://dx.doi.org/10.1038/sc.2015.239] [PMID: 26782839] ]. On the other hand, protective methods can prevent PUs development. One method can be the use of dynamic surfaces which are found to be protective against PUs [14Lima Serrano M, González Méndez MI, Carrasco Cebollero FM, Lima Rodríguez JS. Risk factors for pressure ulcer development in Intensive Care Units: A systematic review. Med Intensiva 2017; 41(6): 339-46. [http://dx.doi.org/10.1016/j.medin.2016.09.003] [PMID: 27780589] ]. Although the studies on the prevalence of PUs in ICU departments are very limited, ICU patients' acquired PUs prevalence is significantly greater than that found in other patient groups. ICU patients are nearly four times more likely to develop PUs than non-ICU patients [15Coyer F, Miles S, Gosley S, et al. Pressure injury prevalence in intensive care versus non-intensive care patients: A state-wide comparison. Aust Crit Care 2017; 30(5): 244-50. [http://dx.doi.org/10.1016/j.aucc.2016.12.003] [PMID: 28063724] ]. In Palestine, there is no study found on assessing the prevalence and risk factors of PUs, despite the importance of studies on the prevalence of PUs among hospitals’ patients, especially in ICU. Thus, information about PUs prevalence and risk factors is very limited and cannot be obtained retrospectively in Palestine. The researchers used data collection sheets that contained two sections. Section one contained the patient’s characteristics such as age, gender, weight, height and BMI. The second section, based on the European Pressure Ulcer Advisory Panel (EUPAP) guidelines, contained the Risk assessment using the Braden Scale. The Braden Scale consists of six sub-scales: sensory perception, moisture, activity, mobility, nutrition, friction and shear. The classification system made by National Pressure Ulcer Advisory Panel (NPUAP) and EPUAP in 2009 is used in the recognition of pressure ulcers, including Stage I to Stage IV, the category of “unstageable”, and “Suspected Deep Tissue Injury” (SDTI) [4National Pressure Ulcer Advisory Panel, European Pressure Ulcer Advisory Panel and Pan Pacific Pressure Injury Alliance. 2014.https://www.npuap.org/wp-content/uploads/2014/08/Updated-10-16-14-Quick-Reference-Guide-DIGITAL-NPUAP-EPUAP-PPPIA-16Oct2014.pdf, 16National Pressure Ulcer Advisory Panel, European Pressure Ulcer Advisory Panel. Prevention and Treatment of Pressure Ulcers:Clinical Practice Guideline 2009.]. Each data collection member received training on data collection and PUs detection with the main aim of standardizing practices. Since the study focuses on PUs prevalence in ICU patients, if several PUs were found on the same patient, only the most severe was considered. Unstageable pressure ulcers or suspected deep tissue injuries were included as a separate category. Characteristics of the participants (N=109). Medical records of participants among ICU departments (N=109). Prevalence of PUs of participants among ICU departments (N=109). Risk factors for PUs of participants in ICU departments (N=109). This study is aimed at identifying the prevalence rate and the potential risk factors of pressure ulcers among patients in the ICU departments of government hospitals in Palestine. Although detection, assessment, and management of possible risks before an injury occurs are keystones of PUs prevention [17Schoonhoven L, Bousema MT, Buskens E. The prevalence and incidence of pressure ulcers in hospitalised patients in the Netherlands: a prospective inception cohort study. Int J Nurs Stud 2007; 44(6): 927-35. [http://dx.doi.org/10.1016/j.ijnurstu.2006.02.011] [PMID: 16620820] ], identification of potential risks is also important. However, results from this study and others reviewed suggest that PUs development is aggravated by the sum of multiple, rather than single, risk factors in the one critically ill individual [18Theaker C, Mannan M, Ives N, Soni N. Risk factors for pressure sores in the critically ill. Anaesthesia 2000; 55(3): 221-4. [http://dx.doi.org/10.1046/j.1365-2044.2000.01216.x] [PMID: 10671 839] ]. This study assessed the prevalence of PUs among ICU adult patients in Palestine. The prevalence of PUs was 33% and the prevalence of PUs higher than stage 1 was 7.34%. It also shows that days in the hospital, Mechanical Ventilators (MV), and friction were significant risk factors for PUs development. On the other hand, BMI, moisture and immobility did not have any statistically significant relation with PUs development. A study applied in Jordan found that the prevalence of PU was lower (16%) than the prevalence of the present study (33%) among which a total sample of 295 participants had similar participants’ characteristics such as gender and age; 58% of their samples were male and 42% were female. The mean age in their study was 49.1 years [19Tubaishat A, Anthony D, Saleh M. Pressure ulcers in Jordan: A point prevalence study. J Tissue Viability 2011; 20(1): 14-9. [http://dx.doi.org/10.1016/j.jtv.2010.08.001] [PMID: 20880710] ]. In the present study, the sample was 109 participants, of which 55% were female and 45% were male, the mean of age was 54.7 years. Another study done by Fiona Coyer found the prevalence of PUs to be 11.5% and prevalence of PUs > stage 1 to be 11.2% [20Coyer F, Miles S, Gosley S, et al. Pressure injury prevalence in intensive care versus non-intensive care patients: A state-wide comparison. Aust Crit Care 2017; 30(5): 244-50. [http://dx.doi.org/10.1016/j.aucc.2016.12.003] [PMID: 28063724] ]. The prevalence of PUs in ICU of government hospitals in Palestine was higher than North America (22%) [21Shahin ES, Dassen T, Halfens RJ. Pressure ulcer prevalence in intensive care patients: A cross-sectional study. J Eval Clin Pract 2008; 14(4): 563-8. [http://dx.doi.org/10.1111/j.1365-2753.2007.00918.x] [PMID: 18462 282] ] and Jordan (16-29%) [19Tubaishat A, Anthony D, Saleh M. Pressure ulcers in Jordan: A point prevalence study. J Tissue Viability 2011; 20(1): 14-9. [http://dx.doi.org/10.1016/j.jtv.2010.08.001] [PMID: 20880710] ], and lower than Western Europe (49%) [1Hoogendoorn I, Reenalda J, Koopman BFJM, Rietman JS. The effect of pressure and shear on tissue viability of human skin in relation to the development of pressure ulcers: A systematic review. J Tissue Viability 2017; 26(3): 157-71. [http://dx.doi.org/10.1016/j.jtv.2017.04.003] [PMID: 28457615] ], and Australia (50%) [22Ballard N, McCombs A, Deboor S, et al. How our ICU decreased the rate of hospital-acquired pressure ulcers. J Nurs Care Qual 2008; 23(1): 92-6. [http://dx.doi.org/10.1097/01.NCQ.0000303811.39737.b4] [PMID: 18 281882] ]. Studies stated that malnutrition and BMI are associated with PUs prevalence [8Kottner J, Gefen A, Lahmann N. Weight and pressure ulcer occurrence: A secondary data analysis. Int J Nurs Stud 2011; 48(11): 1339-48. [http://dx.doi.org/10.1016/j.ijnurstu.2011.04.011] [PMID: 21601854] -10Hyun S, Li X, Vermillion B, et al. Body mass index and pressure ulcers: Improved predictability of pressure ulcers in intensive care patients. Am J Crit Care 2014; 23(6): 494-500. [http://dx.doi.org/10.4037/ajcc2014535] [PMID: 25362673] ]. Therefore, routine and formal assessment of both BMI and nutritional status are important to enable the identification of patients at high risk of PUs. The present study supports that the BMI was not associated with PUs development, whereas malnutrition could be the factor associated with skin injury prevalence [23Munro EL, Hickling DF, Williams DM, Bell JJ. Malnutrition is independently associated with skin tears in hospital inpatient setting-Findings of a 6-year point prevalence audit. Int Wound J 2018; 15(4): 527-33. [http://dx.doi.org/10.1111/iwj.12893] [PMID: 29797534] ]. It also demonstrated the limitations of BMI as a nutritional assessment measure. Morbid obesity is a significant and independent risk factor for PUs development. However, the clustering of nutritional risk factors (morbid obesity and malnutrition) substantially increases this risk. Therefore, routine and formal assessment of both BMI and malnutrition status are important to enable the identification of patients at high risk of PUs. The study conducted by Ness et al. (2017) revealed a significant relationship between BMI category and PUs development (p-value = 0.001), and exhibited that the underweight and morbidly obese have a higher risk of developing PUs [9Ness SJ, Hickling DF, Bell JJ, Collins PF. The pressures of obesity: The relationship between obesity, malnutrition and pressure injuries in hospital inpatients. Clin Nutr 2018; 37(5): 1569-74. [http://dx.doi.org/10.1016/j.clnu.2017.08.014] [PMID: 28890276] ], in contrast with results of the present study which show no relation between the BMI category and PUs developments (p-value = 0.579). The difference between results can be explained because only 1.83% of the samples were underweight and few cases were morbidly obese, which are insufficient to exhibit the effect of low weight and morbid obesity on PUs development. The present study exhibits that 24.56% of patients had friction caused by the rank of the sheet, and friction had a significant effect on PUs development (p value= 0.001). In comparison, other studies revealed a significant relationship between friction and PUs category [2Coleman S, Gorecki C, Nelson EA, et al. Patient risk factors for pressure ulcer development: Systematic review. Int J Nurs Stud 2013; 50(7): 974-1003. [http://dx.doi.org/10.1016/j.ijnurstu.2012.11.019] [PMID: 23375662] , 7Alderden J, Rondinelli J, Pepper G, Cummins M, Whitney J. Risk factors for pressure injuries among critical care patients: A systematic review. Int J Nurs Stud 2017; 71: 97-114. [http://dx.doi.org/10.1016/j.ijnurstu.2017.03.012] [PMID: 28384533] , 8Kottner J, Gefen A, Lahmann N. Weight and pressure ulcer occurrence: A secondary data analysis. Int J Nurs Stud 2011; 48(11): 1339-48. [http://dx.doi.org/10.1016/j.ijnurstu.2011.04.011] [PMID: 21601854] ]. This may be because friction between skin and other surfaces, such as bed sheets, causes loss of stratum corneum that leads to the loss of blood flow to the skin and cause ulceration. PUs are likely to occur early in the hospital days as shown in Table 4 and may develop within the first week of hospitalization in ICU. Thus, there was a significant relationship between the increase in the number of days in the hospital with the development of PUs (p-value = 0.001). In comparison, a study conducted in Korea (2017) showed a relation between increase in the number of inpatient days and PUs developments [24Moon M, Lee SK. Applying of decision tree analysis to risk factors associated with pressure ulcers in long-term care facilities. Healthc Inform Res 2017; 23(1): 43-52. [http://dx.doi.org/10.4258/hir.2017.23.1.43] [PMID: 28261530] ], and a study conducted in the United States showed a relation between increase in the number of inpatient days and PUs developments (p-value< 0.05) [25Raju D, Su X, Patrician PA, Loan LA, McCarthy MS. Exploring factors associated with pressure ulcers: A data mining approach. Int J Nurs Stud 2015; 52(1): 102-11. [http://dx.doi.org/10.1016/j.ijnurstu.2014.08.002] [PMID: 25192963] ]. These studies' results were consistent with the present study results that revealed that inpatient days are a risk factor for PUs development. These results can also be explained by suggesting that most critical cases stay for long periods in hospital and little attention is given to their nutrition and mobility, increasing pressure on the small points and decreasing perfusion of blood in these sites, resulting in an increased risk for ulceration. While immobility is found to be an important risk factor for PU [2Coleman S, Gorecki C, Nelson EA, et al. Patient risk factors for pressure ulcer development: Systematic review. Int J Nurs Stud 2013; 50(7): 974-1003. [http://dx.doi.org/10.1016/j.ijnurstu.2012.11.019] [PMID: 23375662] , 7Alderden J, Rondinelli J, Pepper G, Cummins M, Whitney J. Risk factors for pressure injuries among critical care patients: A systematic review. Int J Nurs Stud 2017; 71: 97-114. [http://dx.doi.org/10.1016/j.ijnurstu.2017.03.012] [PMID: 28384533] , 8Kottner J, Gefen A, Lahmann N. Weight and pressure ulcer occurrence: A secondary data analysis. Int J Nurs Stud 2011; 48(11): 1339-48. [http://dx.doi.org/10.1016/j.ijnurstu.2011.04.011] [PMID: 21601854] ], the results of the present study exhibit that there is no significant relation between immobility and development of PUs (p-value = 0.157). This difference in the results can be explained by the fact that 75.2% of samples were conscious and 71.6% of the samples were independent of mobility. This means that most participants were able to change their position from time to time, leading to pressure relief on bony prominences, and improvement in the circulation of these sites, preventing PUs. Further results of the present study show that moisture has no relationship with PUs development (p-value = 0.071) in contrast with results of the study conducted in Germany, which exhibit a significant relation between PUs and moisture (p-value = 0.010) [12Lechner A, Lahmann N, Neumann K, Blume-Peytavi U, Kottner J. Dry skin and pressure ulcer risk: A multi-center cross-sectional prevalence study in German hospitals and nursing homes. Int J Nurs Stud 2017; 73: 63-9. [http://dx.doi.org/10.1016/j.ijnurstu.2017.05.011] [PMID: 28535399] ]. These differences may be due to the small sample size of the study which might be seen from the marginal level of p-value (p-value = 0.071). The present study also demonstrated a significant relation between PUs development and mechanical ventilators (p-value = 0.001) in comparison to a study conducted in Spain, which found a significant relationship between MV and PUs development (p-value = 0.037) [26Manzano F, Navarro MJ, Roldán D, et al. Pressure ulcer incidence and risk factors in ventilated intensive care patients. J Crit Care 2010; 25(3): 469-76. [http://dx.doi.org/10.1016/j.jcrc.2009.09.002] [PMID: 19879730] ]. These results can be explained by noting that mechanically ventilated patients were immobile, suffered from malnutrition, and were exposed to friction. These factors increased pressure on the small points and decreased perfusion of blood in these sites, resulting in an increased risk for ulceration. There may be a gap between theory and practice regarding the care of ICU patients who are at high risk for PUs. Furthermore, in addition to the small sample size of the study, a meaningful comparison cannot be made between the various studies because of the different grading systems for PUs, different methods of data collection and population characteristics. Finally, the absence of standardized protocols in screening and managing PUs in the governmental hospitals in Palestine could be one of the main reasons for these inconsistent results. The prevalence of PUs was 33% and most of them were in Stage I. When excluding Stage 1 PUs, the prevalence was 7.34%. Many factors affected PUs prevalence, including the number of days in the hospital, friction, and medical devices such as ventilators. Moisture, immobility, nutritional status, and BMI were not associated with PUs prevalence. In this study, change of position had little effect on PUs development which could be explained by the staff’s lack of knowledge [27Qaddumi J, Khawaldeh A. Pressure ulcer prevention knowledge among Jordanian nurses: A cross- sectional study. BMC Nurs 2014; 13(1): 6. [http://dx.doi.org/10.1186/1472-6955-13-6] [PMID: 24565372] ] and a lack of PUs risk screening led to changing positions for those who had already developed PUs, and missed those who were at risk. The study findings confirmed that the assessment and the prevention efforts and screening, in addition to increasing the staff's knowledge about PUs preventive measures in Palestine hospitals, must be improved in order to decrease the burden of PUs.